Windy Dankoff's career combines his technical talents with his passion for environmental preservation. In 1977, he began a wind-electric and photovoltaic business in New Mexico, to electrify homes beyond the power lines. He has worked solely in the private sector, where systems had to be cost-effective. In 1983, he became one of the first manufacturers of solar powered water-well pumps. In the 90’s, Dankoff Solar Products became a worldwide wholesale distributor. He sold the company in 2005 to pursue educational work, writing and consulting. Windy has had over 40 magazine articles and book contributions published, covering photovoltaic applications, energy management, and solar water pumping. He has taught at schools, and advises other pioneering business owners and educators. Founder, retired, Dankoff Solar Products, Inc.
My field is remote-site (off-grid) photovoltaic (PV) power for homes and water supply, with early experience in wind power. My business started as a local service, then progressed into manufacturing and wholesale distribution. I attribute that progression to my roots in local service, retail sales, and tech support. I asses a client's situation with respect to a broad ecology of needs and potential. I call this whole-systems thinking. I am gifted now by the contacts I maintain with fellow "pioneers" around the world, who have parallel experience in and beyond the lab, machine shop and sales office. This network enhances my capacity as a consultant and educator. I work as a free agent, with no financial ties in the industry. I have had over 40 magazine articles and book contributions published, concerning the practical details of off-grid home system design, operation and maintenance, energy management and efficiency, and solar water pumping. You can find them all over the internet. I have taught dozens of courses and workshops, and I am an “Ask The Experts” writer for Home Power Magazine. That was when I dropped out of engineering school. I was determined to work for a cleaner, saner world. But how? I was blessed with a good start in life. My parents encouraged me to discover my unique abilities. I learned technology through my hands, until it became second nature. Even as a boy, I loved to explain and teach. As a wilderness traveler, I longed to live off the grid. When I read about wind-electric power in '74 and studied its history, I knew this was what I was born to do. There was no school to teach me. The wind-electric industry that began in the 1930's had died in 1957. I joined a network of individuals who were reviving the old technology. I lived in communes while I learned to rebuild and update the old wind systems. Could they meet the needs of modern people? To test my faith, I set up shop to sell it … The American Way! I did OK, as you can see from the picture show. I earned the professional title: Windy. But the risk and stress of wind power gave me bad dreams. As soon as PV hit the market in 1980, I was ready to eliminate the towers and moving parts. The simplicity of PV would free me to focus on whole-system design and efficiency. I built a PV home system in an old school bus. It was my live-in laboratory with no umbilical cord. My refrigerator synchronized itself naturally to the available sunshine. It was beautiful. When I found myself ignoring the solar and just living my life, I knew PV was a breakthrough. I had already been building charge controllers, power centers, and home appliance DC conversion kits. Writing for magazines helped me gain a national market. Water pumping was the next frontier. I took a job with a water-windmill and pump supplier in 1981. We began solar-pumping wells and boreholes by adapting old technologies. I began developing my own product line of low-power high-efficiency pumps. The first was Solar Slowpump®, developed at my bus in 1983. I mailed specs and pricing to 50 PV dealers and distributors. My expectations were blown away as orders came from cattle ranchers, green entrepreneurs, missionaries, government agents, Boy Scouts, hippies, hunters and monks. They wanted pumps and MORE PUMPS! What a joy! • I retired from commerce. Now I honor the young professionals who bring renewable energy into the mainstream! They are our teachers. I started WindLight Workshop in 1977 to supply off-grid homeowners with wind-electric systems. This was before PV (photovoltaics) was on the market. That's when I earned the title Windy. In 1980, I began eagerly to phase out wind in favor of PV and to focus on super-efficient system design. Water pumping was a priority to my clients. Efficient low-power pumps were almost non-existent. I grew frustrated waiting for others to answer the need. Lacking prior training, I dove in headfirst with an open mind. 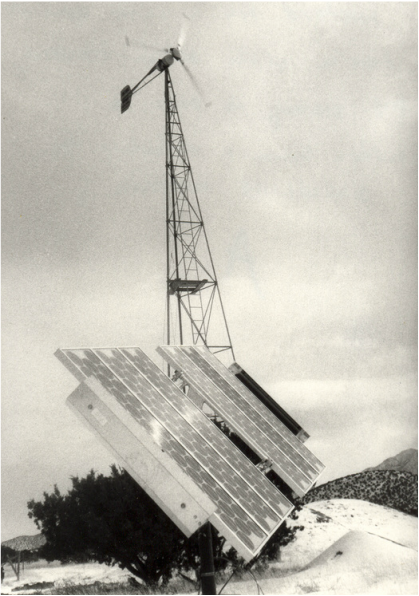 Solar pump manufacturing quickly became half the business, so I renamed it Flowlight Solar Power in 1986. The solar industry was boosted by US and state tax benefits in the mid-80's. When those ended, the off-grid PV sector continued growing, faster than ever. We were not only reducing people's costs, we were improving their lives by eliminating kerosene lamps, noisy and dirty engines, and antiquated windmills. Paul Benson joined me in 1995. Being all the business man that I am not, he became the perfect partner. We co-founded Dankoff Solar Products, Inc. in '96 as a wholesale-only manufacturer, and a distributor of PV equipment. At the same time, I sold the retail portion of the business to my friend Allan Sindelar who then founded Positive Energy Solar (now the #1 rated PV installer in New Mexico). I was free to focus on the next phase of solar pumping. The original Dankoff Pumps are surface pumps, not for deep wells (boreholes). I was dissatisfied with the available technologies for low-power deep-well pumping—until the advent of the helical rotor pump. I knew about it in the 80's and 90's, but it wasn't until 2000 that high tech enabled the commercial feasibility of an efficient submersible HR. Bernt Lorentz was a manufacturer of off-grid fuel pumps. His colleague Bernward Hollemann convinced him that solar pumping was an exciting opportunity, and to contact me for guidance. From 1999 to 2004, I advised on the design and strategy of Lorentz helical rotor pumps, and I wrote the specifications and instruction manuals. Dankoff Solar Products was the first USA importer. Bernt Lorentz KG is now a world leader in solar pumping, and Bernt remains a good friend. In 2005 I was satisfied to sell the business and step out of commerce. 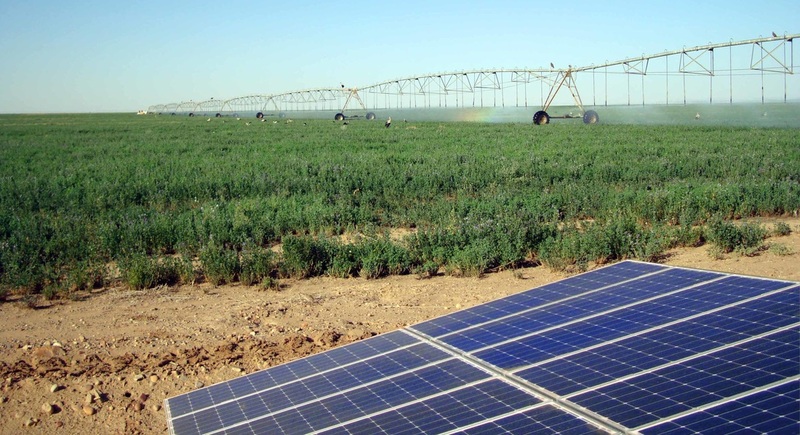 In 2013, the Dankoff Solar Pumps division was re-acquired by Dennis Austin of Solar Power & Pump Co. It's a perfect compliment—Dankoff Pumps is strong in surface pumps while SP&P is strong in submersibles including its own helical SunRotor line and larger 3-phase controllers. Matt Leimbach manages Dankoff Solar Pumps as he has since 2005. Matt and Dennis are intensely dedicated, ethical, and highly capable. I am honored to see my old company in such good hands. Now I focus on research, education, writing and consulting. I stay updated, and keep an eye on the future. I am a free agent with no financial ties in the industry. My current project is a textbook: Solar Water Pumping, with co-authors: Dr. Alma Cota and Robert Foster, for release in 2018 by Taylor & Francis / Earthscan Publications. My co-authors Alma and Robert come from academic, NGO and public sector work. They have been soiling their boots around the world since the 80's in support of renewable energy and water supply in the developing world. We are combining our experiences and perspectives to produce THE book on solar pumping. In 2012 I was pleased to be interviewed for KNME TV. I discuss my point of view, and how I was able to support myself in a field that the "experts" declared unfeasible. Length: 12 minutes. Dan Chiras, in The Homeowners’ Guide to Renewable Energy. referred to my article "Solar Water Pumping Makes Sense", (Home Power, October 2003) as a “Great primer by the nation's leading expert on the subject”. CENTER: My off-grid home and office was in this sitting bus, 100% PV (no backup) 1982-86. I had a low overhead (1 inch). RIGHT: A 2009 upgrade: Farmer Windy "out standing in his field"